A group of 42 migrant fruit pickers who were shot at for demanding their unpaid wages have won their case against the Greek government in Europe’s highest human rights court, overturning the paltry €43 damages that were first awarded to the workers. 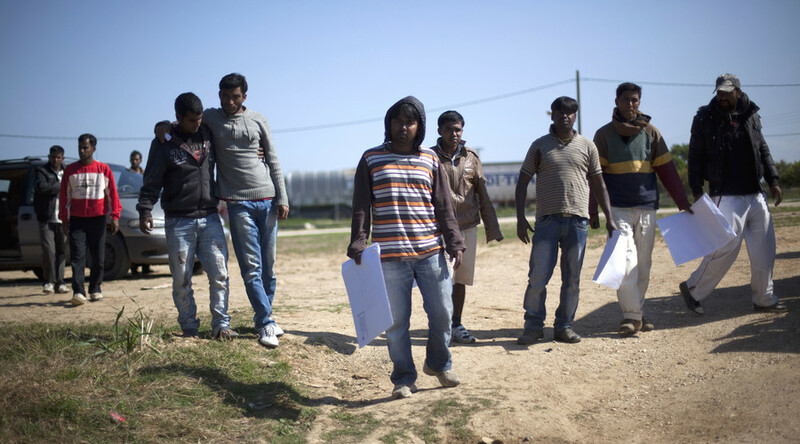 The European Court of Human Rights (ECHR) ordered the Greek government to pay each of the migrants compensation of between €12,000 and €16,000 (US$13,000-US$17,000, or roughly 279 times the original compensation order of €43 per worker that was awarded by the Greek courts in 2014). The €588,000 in total compensation awarded to the plaintiffs is one of the largest ever handed out by the court. Following the decision in Greece, the case was brought all the way to the Council of Europe's Court of Human Rights which determined Thursday that "the applicants' situation was one of human trafficking and forced labor." "Today's judgment is an important vindication for them and their families and will hopefully help prevent future abuse," Amnesty International's Gauri van Gulik told the AP. In addition, the court ruled that the Greek government “had failed... to prevent the situation of human trafficking, to protect the victims, to conduct an effective investigation... and to punish those responsible for the trafficking." "We are very pleased and excited by today's judgment. The Greek court's acquittal of the farmers for the crime of forced labor was a great disappointment to us," Morsed Chowdury, the lead applicant in the European case, told the AP. The men were shot at by security at the farm where they worked for demanding their unpaid wages in 2013. On July 30, 2014 a local Greek court acquitted local farm owners and their armed security guards of human trafficking charges, but convicted one guard and one employer of grievous bodily harm and the unlawful use of firearms following a confrontation with a large group of migrants. Both had their prison sentences commuted to a financial penalty. They were also ordered to pay a total of €1,500 to the 35 victims in the case (just €43 per worker). For context, the Bangladeshi migrants, recruited between October 2012 and February 2013, were paid €22 for seven hours’ work with an additional €3 for each hour of overtime worked, according to a press release published by the Council of Europe's Court of Human Rights. 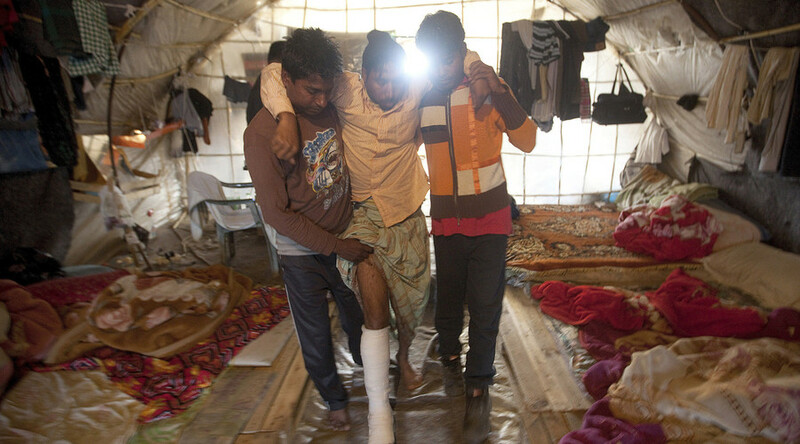 The migrants worked 12-hour days from 7am to 7pm under armed guard and lived in unsanitary shacks with no toilets or running water near the town of Manolada, 260km (160 miles) west of Athens. "Their employers had recruited them to pick strawberries on a farm in Manolada (Greece) but failed to pay the applicants' wages and obliged them to work in difficult physical conditions under the supervision of armed guards,” the press release continued. When pay was repeatedly withheld in 2013, the migrants went on strike in February, March and April, and enlisted the help of other migrants working elsewhere in the area to help demand their wages. In April, 2013, a group of 100-150 migrants approached the two employers in charge of the farm to demand that they be paid. One of the armed guards subsequently opened fire on the crowd, seriously injuring 30 workers including 21 of the plaintiffs in the case. The two employers and two armed guards, including the one who opened fire, were arrested and charged with attempted murder and human trafficking. The attempted murder charge was reclassified as grievous bodily harm by the local Greek court. The two convicted men have appealed the decision and have been released pending the outcome in that process.